Output of the training on developing Unicode compliant fonts, held in 2009. 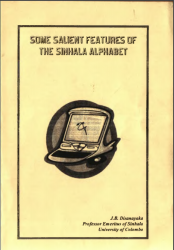 Output of the ICTA workshop on Unicode publishhing for Sinhala & Tamil held in 2015. Dissertation submitted in partial fulfillment of the requirements for the degree Master of Science.